Peanut butter is so popular in many countries. It’s also very popular with my boys. Peanut butter is a food paste or spread made from ground peanuts. It often contains additional ingredients that enhance the taste or texture, such as salt, sweeteners or emulsifiers. However, you can avoid these additives if you make your own at home. And it’s so easy to do. You don’t need much more than peanuts and a blender and gives you a massive saving on the shop bought versions of the spread. Peanuts are a type of nuts, originating in South America but are technically not nuts. They actually belong to the legume family - so related to beans, lentils, and soy. They are rarely eaten raw, but more often eaten as roasted and salted whole peanuts or peanut butter. I love peanut butter, as do my boys and it seems we are far from being alone in this. 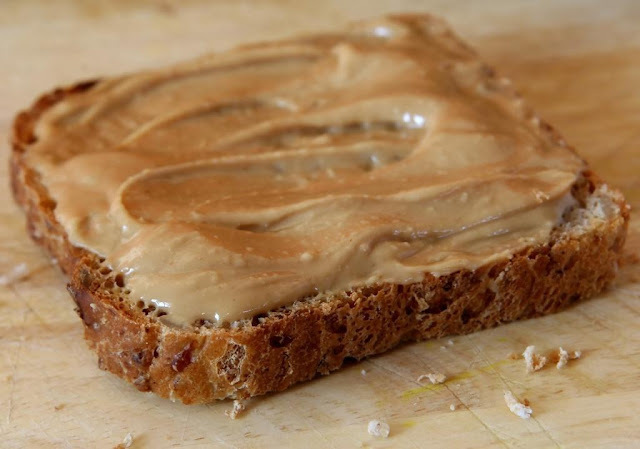 The Telegraph reported earlier this year that peanut butter is set to overtake jam as Britain's favourite breakfast spread after a backlash against sugary foods. It says sales of the nut-based spread went up by nearly a fifth last year. There are nutritional benefits too. Not only do peanuts taste good, they are also rich in protein, fat, and various healthy nutrients. Peanuts also contain high levels of protein but are also high in fat, although it is the "good" monounsaturated fat. Peanuts are good sources of vitamin E, niacin, folate, protein and manganese. Studies show that peanuts may be useful for weight loss, and are linked to reduced risk of cardiovascular disease. Studies of diets with a special emphasis on peanuts have shown that this little legume is a big ally for a healthy heart. 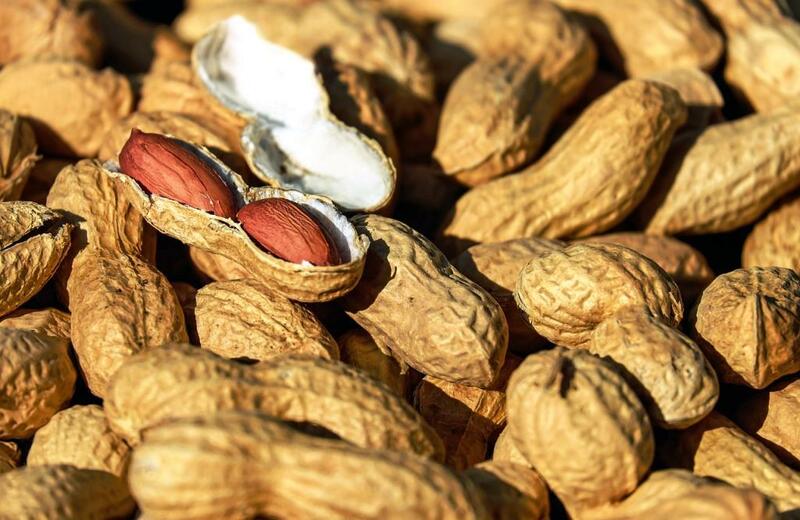 The BBC reported that a University of Florida team says peanuts are rich in antioxidants which protect cells from damage linked to heart disease and cancer. There has also been an introduction of a number of new "healthy" upmarket versions too. However, 200g of supermarket own brand salted peanuts only costs around 50p – which is even half the price of peanut butter in cheaper food stores and less than a quarter of the price of some of the other brands. As I've said, I am a big fan of peanut butter. I like it crunchy and smooth. I like peanut butter cookies, and also use it to make satay sauce and recently used it to bind vegan burgers. 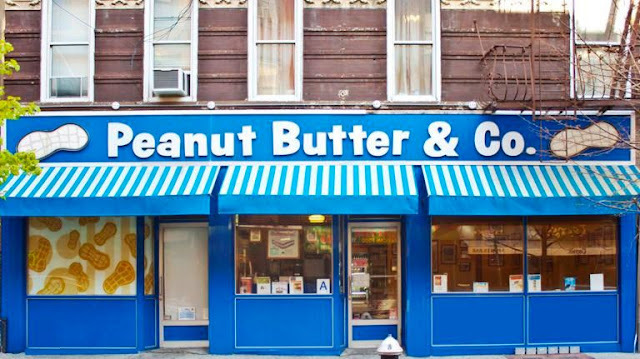 On my first visit to New York in 1999, I sought out the Peanut Butter & Co. Sandwich Shop in Greenwich Village. It was so good I had to return on my next two visits also. Sadly the café which had sold an imaginative assortment of peanut butter in eat-in sandwiches & take-out jars closed after 17 years in 2016. It had opened in 1998 and offered not just various kinds of peanut butter sandwiches like The Elvis and Pregnant Lady but also peanut butter in newfangled flavours like Dark Chocolate Dreams and Cinnamon Raisin Swirl. The peanut butter was delicious, I remember trying a tasting platter of a number of different flavours with carrot and celery and breadsticks to dip in. So tasty! However, now that I learned how easy it is to make your own I’m going to start experimenting with different flavours. 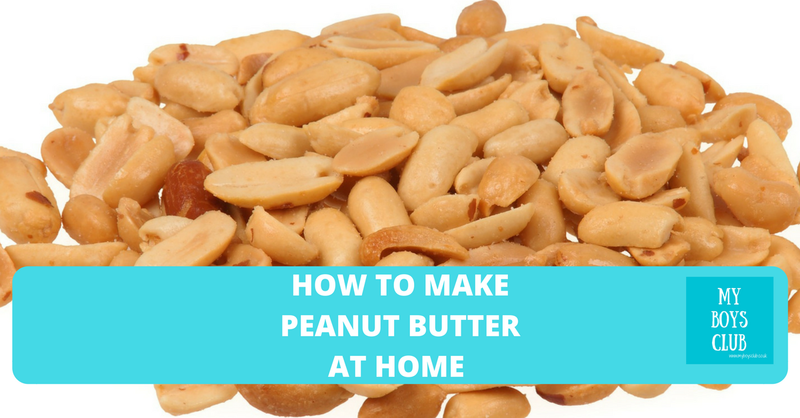 100g peanuts – for ease, I just use a packet of salted peanuts, however, you can use plain and take the skins off, rinse the salted peanuts or use dry-roasted. 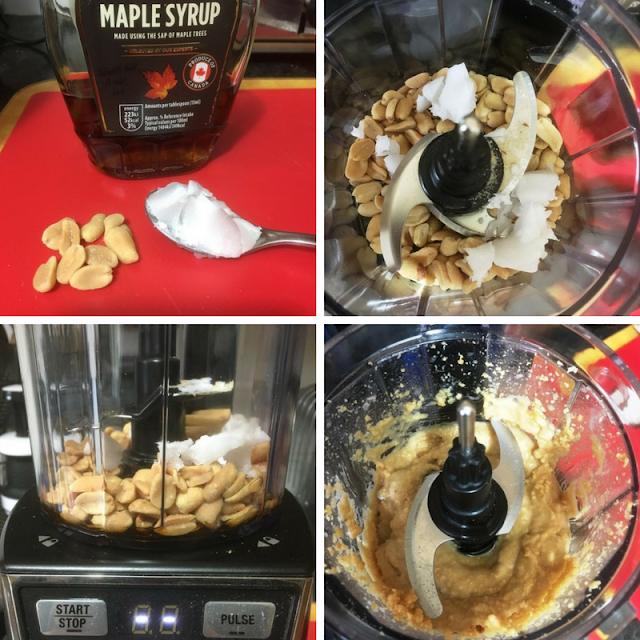 Place the peanuts, maple syrup and oil in a blender. I use a Ninja 1200W Ultimate Chopper, Blender & Mini Food Processor (you can buy it from Amazon – this is an affiliate link) and it works great. You just blend for a minute or so. If you like your peanut butter smooth rather than crunchy then blend for a couple of extra minutes, until you get the consistency you like. It’s just so simple to make. Blend and then put into a jar. I wish I’d known sooner just how easy it is. In 5 minutes tops you can have your own jar of peanut butter. You can make it without adding any maple syrup or coconut oil but I prefer it with the additional ingredients. It's perfect on toast for breakfast. 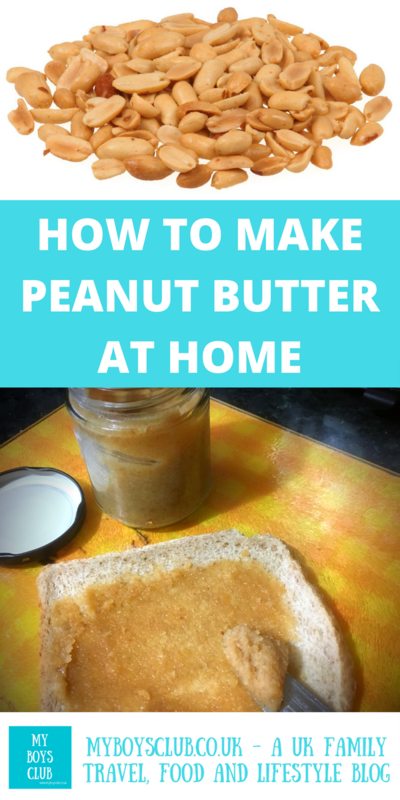 So if you've been wondering how to make peanut butter at home, do give this a try - and let me know how you get on. What flavour peanut butter would you make? I'm a big fan of peanut butter, so this looks a good one to try. Have you ever tried peanut butter with spinach or kale? I think it works really well.